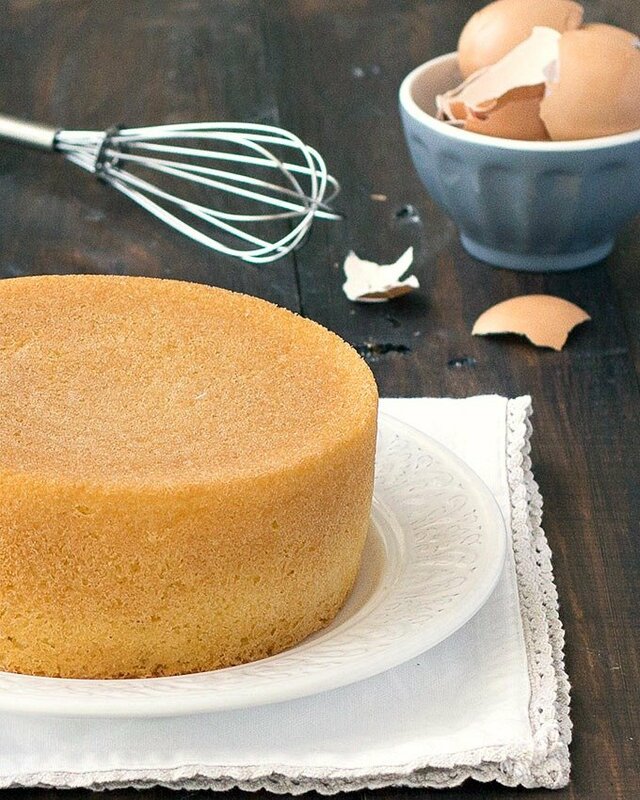 Pan di Spagna (Italian Sponge Cake) is a simple, airy sponge cake flavored with vanilla or lemon zest. It’s made with only 3 ingredients: eggs, sugar, and flour…no baking powder, no butter, no oil, and no dairy! This traditional cake is used in desserts like cassata, zuccotto, zuppa inglese and tiramisù. It can be soaked with your favorite mixture and layered with cream fillings, covered with fondant, or just eaten on its own, sprinkled with powdered sugar. Use extra large eggs (each egg should weigh approximately 70 grams/2.46 ounces). Eggs have to be at room temperature, not cold from the fridge. If they are too cold, soak them for a few minutes in a bowl of warm water. It’s better to use a low-protein flour, such as cake flour. If it’s not available in the store, you can make it at home (check out this tutorial by Joy the Baker), or use all-purpose flour. Beat the eggs and sugar for no less than 15/20 minutes. It is during this stage that air is incorporated. The eggs should turn a pale yellow. Sift the flour on top of the egg mixture, a little at a time, and fold it gently with a wooden spoon. If you pour in too much flour, it will sink to the bottom of the bowl. You should cut the Italian sponge cake with a serrated knife when is cold. It’s better if you prepare it the day before, wrap it in cling film, and leave it in the fridge overnight. You can make it up to 3 days ahead! For the sponge cake in the picture, I used a Wilton round pan 15 cm wide and 8 cm high (6 x 3 inch). If your baking pan is not very deep, use parchment paper. Trace the bottom of the pan on a piece of parchment paper. Cut it out and line the bottom of the pan. Then line the sides of the pan with parchment paper so that the parchment paper creates a collar that sits 1 to 2-inches above the pan. Make sure that you brush some melted butter to the bottom and sides of the pan so the parchment paper sticks. Do you have a rectangular or square pan? Send me an email or post a comment with the size of your pan, I can calculate it for you. Store the cake in the refrigerator for a couple of days, until ready to use. It can also be tightly wrapped in cling film and stored in the freezer for several months. Bring it back to room temperature or unthaw overnight in the refrigerator, when needed. Somehow just by adding the word authentic to my search I found your page…THIS Recipe! I have tried for over 20 yrs to make a sponge cake that tasted like my grandmothers. She would often bake it with me when I was young. I found her crinkly tatered sponge cake recipe about 2 yrs ago….but it was like a normal Sicilian Grandmother’s recipe…not precise. Some not even legible. I figured I would try your recipe…I have failed often times before so why not. They tasted good, but not like my grandmothers. Yours however bought me back to her kitchen. I nearly cried. It’s a taste I have longed for so many yrs. This recipe is perfect! Thank you….thank you so much! 13 1/2″ by 9 1/2″ and 2″ high. Would you be able to give the measurement for it and how long to cook it for? 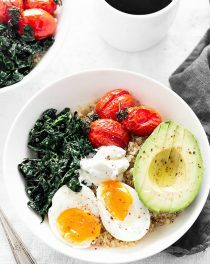 First, I love this recipe and have used it many times with wonderful results, thank you for sharing it! However, this weekend, it did not turn out so well, the cake was very dense and not tall.and light as it usually is….the only thing I can figure is that I over mixed when adding the flour? Any other thoughts? Hello! I am wondering what the measurements would be for a rectangle pan 11×15. Hi Angelina! 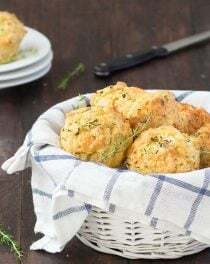 You can use: 12 eggs, 360 grams (1 3/4 cup+ 1/2 tablespoon) of sugar, 360 grams flour (3 cups all-purpose flour or 3 cups+ 3 tablespoons cake flour ), 3 teaspoons grated lemon zest or vanilla extract (optional). Baking time will be longer,I guess 10 minutes more…after 40 minutes you can check with a skewer. Hi Esther! What’s the size of the pan? Hi Elena this cake sounds amazing! I’m looking for a recipe to make for my daughter’s first birthday. I have 2, 12 inch pans I’m using to make a large number “1” cake. Would this cake work? How many eggs and flour would I need? I was thinking of using a strawberry syrup with a chantilly cream filling. Hi Julia! For each cake you will need: 12 eggs, 360 grams (3 cups) flour, 360 grams (1 3/4 cup + 1 tablespoon) sugar, 1/4 teaspoon salt, 3 teaspoons vanilla extract or grated lemon zest. Baking time will be longer… I guess 1 hour and 15 minutes. Just check it after 1 hour. Let me know how it goes and if you have any questions I am glad to help. Perfect, will try tomorrow, been looking for a sponge cake recipe for a long time and this looks and sounds Divine. I will be making 7,layers with chocolate custard, peaches and cream,vanilla custard and a layer crushed pineapple..Topped with bunches of fresh whipped cream…The way my mother use to make it ..Wish I could post a pic.. You do not know how long I have looked for the perfect sponge cake recipe and I believe I have found it..
Am making the 30cm round cake, I was wondering how long do I have to bake it for. Am excited its been almost 10 years since I made the last one. Covering with Swiss meringue buttercream. Can’t wait to try..been looking forward to topping with fresh fruit.. I must also say. You are Awesome years later still answering questions. You have a new fan. That’s so sweet, thank you so much Judy! Just tried it today and both cakes turned out perfect!!!! Thank you sooooo very much, your a cake rock star!! Thank you for the feedback Carly! ❤️ I am glad you liked this recipe. I love that this recipe has all the calculations for upsizing the cake! I am making several recipes of it tonight for a large cake project I’m working on this weekend. I’m going to need four layers of a 12in and four layers of an 8 in. Do you typically cut one recipe into two layers or more? So I this recipe there is no separation of the egg yolk and whites? I’m using sponge cake instead of angel food cake to make a mixed berry trifle for Christmas. I can’t wait to try your recipe. Your instructions are very informative. I wanted to make this using two standard round cake pans (I think they’re 9 inches), but I wasn’t sure how to adjust for two pans. Did I miss it in the comments? I would love to make this, but only have large eggs on hand. Is it possible to use large? If so, how many eggs would I need? Thanks! If you have a scale, each egg should weigh (with the shell) approximately 70 grams. If you don’t have a scale just use large eggs, it will be ok.
I’m a novice baker, and almost never leave comments–but I had to for this one. I was admittedly nervous about the lack of leavening agents, and didn’t trust myself to get the folding right after whipping the eggs and sugar. Miraculously, even with my undermixing the batter (there were little clumps of flour, whoops), the cake turned out perfect 🙂 It’s exactly what I always strove for terms of texture for a sponge cake, and it wasn’t overpoweringly sweet at all! I wanted to make a spiced rum soaked cake, so I used orange zest instead of lemon, boosted with a touch of vanilla. Thanks Elena, for your recipe!! By the way, your cake sounds SO delicious! HI Elena im using a 9x9x2 inch square pan, what measurements should i be using? You will need: 6 eggs, 180 grams (1 1/2 cup + 2 tablespoons) cake flour, 180 grams (¾ cup + 2¼ tablespoons) sugar, a pinch of salt, 1 1/2 teaspoon grated lemon zest or vanilla extract. Baking time: check after 40/45 minutes if it’s done. Your cake sounds so delicious, Jillian! How many grams is your egg with shell? Hello! This is kind of a silly question, but when you say “Sift the flour on top of the egg mixture, a little at a time, and fold it gently with a wooden spoon.” do you mean a) sift all the flour on top, a little at a time, then fold it all in at once, or b) sift a little of the flour on top, fold it in, and repeat? Sift a little of the flour on top, fold it in, and repeat. If i use a 6 inch pan is the baking temperature and time the same? The temperature is the same. You can check the cake after 30 minutes. Hi! What’s the size of the pan? Thanks for your tips and explanations ! I want to try this in a 10 in. round pan. Would you pls give me the right amount of ingredients ? For a 10-inch round pan, you will need 6 eggs, 180 grams (1 1/2 cup + 2 tablespoons) cake flour, 180 grams (3/4 cup + 2 1/4 tablespoons) sugar, a pinch of salt, 1 teaspoon grated lemon zest or vanilla extract. Baking time will be the same, just check the cake after 40 minutes. Hi, I’ve recently made both the vanilla & chocolate sponges & they turned out perfectly, they’ll now be my go to sponge recipe, thank you! Just wondering what the ratios would be for a square 23cm/9” pan? For a 23 cm square pan, you will need: 6 eggs, 180 grams ( 1 ½ cup + 2 tablespoons) cake flour, 180 grams (¾ cup + 2¼ tablespoons) sugar, 1 teaspoon grated lemon zest or vanilla extract, a pinch of salt. The baking time is more or less the same (just check it after 40 min). Parveez, I am so glad to hear that! 🙂 Your cake sounds delicious! Hi Helen! This cake is perfect, I covered it several times with fondant. You can use the recipe in the recipe card: 4 eggs, 120 grams ( 1 cup+1 tablespoon) cake flour, 120 grams ( ½ cup + 1 ½ tablespoon) sugar, a pinch of salt, 1 teaspoon grated lemon zest or vanilla extract. I love this recipe, and I’ve made it many times as a 9-inch round layer cake with bourbon syrup – to much fanfare. I would like to make this as a full sheet cake for a graduation party – which is 16”x 24”x 3”. Could I please have the measurements for this cake? Do you think a 3” pan is high enough, or would I have to make a parchment collar you recommend in other comments? To make a half sheet, would it work to spit these new measurements in half? I have never made such a big cake… A full sheet pan is equivalent to a 22- inch round pan. A half sheet pan is equivalent to a 16-inch round pan. For the half sheet pan, I would use 14 eggs, 420 grams (3 1/2 cups) flour, 420 grams (2 cups + 1 1/2 tablespoon) sugar, 3 teaspoons vanilla extract. Baking time will be longer, please check it after 50/55 minutes. To make the calculations for the full sheet pan, we can’t just double the ingredients as only one side one the pan is double (full sheet pan 24×16, 12×16 half sheet pan)….does it make sense? So I am guessing, 22 eggs, 660 grams (5 1/2 cups) flour, 660 grams (3 1/4 cups + 1 tablespoon) sugar. Elena – I’m sorry, I forgot to also ask for the same measurements for your chocolate sponge cake as well. Could I have those as well, please? Thank you again! I want to make this cake for my son’s 1st birthday but I haven’t made many cakes before and I have a couple of questions. 1. 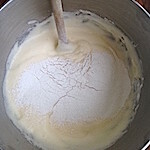 If I wanted to add a cream or custard layer or cream and jam – what would you recommend I use? 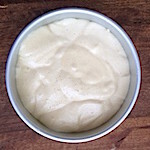 There’s a recipe for a pastry cream further up in the comments – is it as simple as slicing the cake in half and spreading a layer of the pastry cream and putting the other half of the cake on top? Open to other suggestions if you have any! First of all, make sure that you prepare the cake the night before, let it cool then wrap it with cling film and put it in the fridge. It will be easier to slice it. This cake is not moist, so you have to soak it. Brush each layer with a simple sugar syrup, or fruit juice. For the filling, I love Italian pastry cream. 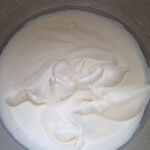 You can make a vanilla pastry cream or lemon. Hi Marcy! Yes, this cake is perfect to be covered with fondant. Thanks so much! I’ve decided I’m going to do two half-sheet pans, because I’m going to make one chocolate and one vanilla. And also, I don’t want to go so far away from the original recipe that it doesn’t bake properly. Thank you, thank you! Kortnee, I am so sorry. I forgot to tell you the ingredients for the chocolate sponge. For a half sheet pan: 14 eggs, 340 grams (2 3/4 cups + 1 tablespoon) flour, 80 grams (3/4 cup + 1 tablespoon) unsweetened cocoa powder, 420 grams (2 cups + 1 1/2 tablespoon) sugar, 3 teaspoons vanilla extract. the recipe is fantastic ! the cakes bake perfectly even and are so fluffy. if you use parchment paper as described above, be sure to put butter all around your cake tin and all the way up ! i only “glued” the paper at the bottom of one cake tin and the parchment paper collapsed all over my cake 🙁 but everything else was fine, thank you for sharing this recipe. Thank You for the lovely recipe. I was wondering, could I add some pineapple juice to the batter t make it a pineapple sponge cake? If you think it’s possible, how much and when should I add? How can it be no dairy when you use eggs and then the pan is greased with butter for the flour to adhere to. There is no butter in the batter. If you don’t want to use butter to grease the pan, use a baking spray or oil! Hi, I really want to try the recipe but what would the conversions be for a 10 inch square pan? Would you know how love it should possibly bake too? 2 teaspoons grated lemon zest or vanilla extract. Baking time will be longer, I guess 10 minutes more… after 40 minutes you can check with a skewer if it’s ready or needs more time. I was looking at some previous comments and you said this cake is not meant to be moist. Do you have a recipe for a moist sponge cake? Hi Nicole! You can soak the cake with juice or syrup before filling it. I have made the sponge cake this afternoon. It comes out perfect and it is the easiest sponge cake I ever made. Thank you for your advice. Hi, Elena! 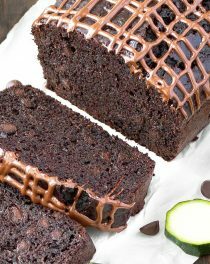 This recipe looks pretty easy and your cake picture looks yummy. However, I wanted to ask if butter/oil isn’t needed for this cake or if it was an oversight? I patiently await your reply. Can I make cupcakes with this recipe? Can you also send me calculations for square pans? Thank you! Yes, you can make cupcakes. Bake at 180 degrees C (356 degrees F) for 20-25 minutes. What’s the size of the square pan? 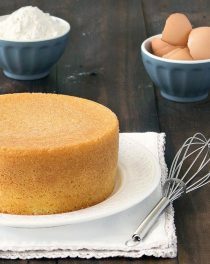 I’m planning on making a layered Sponge Cake (8”) and I was wondering if it would be best to bake the batter altogether, or bake each layer in separate pans. And, how many layers would I be able to get from the 8” recipe? I do intend on soaking each layer with a simple syrup, but will this sponge pair nicely with a Vanilla Swiss Meringue Buttercream? I usually get 3 layers, and I prefer to bake one cake instead of 3 separate cakes. I think the simple syrup goes perfectly with the vanilla buttercream. The cake is amazing I was wondering if you could please convert the recipe for 5 servings? Hi Leslie! The recipe for an 18-20 cm pan (4 eggs) is enough for 6. Hi Elena! I am making a cake for an event and was wondering the ingredient amounts and cook time for a rectangular pan with the dimensions 40cm in length, 28cm in width and 7.5cm in depth. Thank you! Hi Lauren! You can use 13 eggs, 390 grams (3 1/4 cups) flour, 390 grams (2 cups minus 1 tablespoon) sugar, 3 teaspoons vanilla extract. Baking time will be longer, please check it after 50/55 minutes. Hi Elena, My son-in-laws nonna makes a fantastically light and airy italian sponge cake that looks quite similar to yours except she makes it in a 10″ angel food cake pan. I don’t know if it’s the same as yours, but it is delicious. I would like to try your recipe in a 10-In. Angel Food Cake Pan also. Would I use the 10″ ratio recipe? And do I need to grease and flour the pan? Thanks. You can use the 10″ recipe and grease and flour the pan. Let me know how it goes and I hope you will like it! I was able to get the actual recipe from my son-in-law’s nonna. Hers is similar but it has 3 ingredients that yours doesn’t. Water, Mazzolla oil and baking powder. I can see why her cake would be light, airy and moist as compared to yours. I will give them both a try. Thanks for your input. 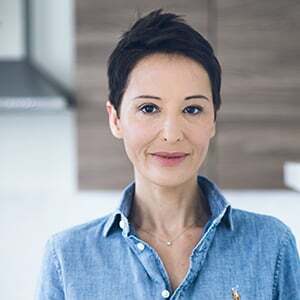 Hi Elena, thank you for the receipe, I’m so excited to make it. I am going to use a specialty number shaped pan. It is the number 1 and it measures 14 x 10 x 2 – should I use the receipe for a 12 round ? Also would I change the cooking time ? You can use the recipe for a 12 ½ inches pan: 10 eggs, 300 grams (2 1/2 cup) flour, 300 grams (1 1/2 cup) sugar, 2 teaspoons grated lemon zest or vanilla extract. For the baking time, I think it will be 5/10 minutes more. Please check it after 40 minutes with a skewer if it’s ready or needs more time. A big ‘thank you’ to you! This is sponge cake made easy! I used it for breakfast and my daughter who hardly eats is loving it! Thanks alot! 23cm square and 5cm deep can you please let me know ingredients. 1 1/2 teaspoon grated lemon zest or vanilla extract. Is this cake to soft to stack to make a layered birthday cake? I’d appreciate it if you could make the calculations for me. Hi Julia! I think you can use 8 eggs, 240 grams (2 cups plus 2½ tablespoons) cake flour, 240 grams ( 1¼ cup minus 1 tablespoon) sugar, 2 teaspoons grated lemon zest or vanilla extract, a pinch of salt. Baking time will be longer, I guess 10 more minutes… after 40 minutes you can check with a skewer if it’s ready or needs more time.